Two days after the Europe and CIS Minor have finished, two other Katowice Minors kicked-off. The Group Stage of the Asia Minor has already finished, and the Group Stage of Americas Minor is still ongoing. However, CS:GO world will remember this day because of something unusual that happened in the match between INTZ and Imperial e-Sports. The Asia Minor Group Stage has already wrapped up, and fans got what they expected. Renegades and Grayhound Gaming fought their way through Semi-final in Group A. MVP PK and ViCi Gaming took two top spots in Group B. Renegades won matches against Aequus (16-7) and Grayhound (16-14, 19-17), and Grayhound defeated CyberZen twice. In the other group, MVP PK was better than Beyond (16-8) and GOSU(16-14, 16-5), while ViCy beat Beyond and GOSU. Therefore, Renegades will face ViCi, and Grayhound will play against MVP PK in Semi-final. 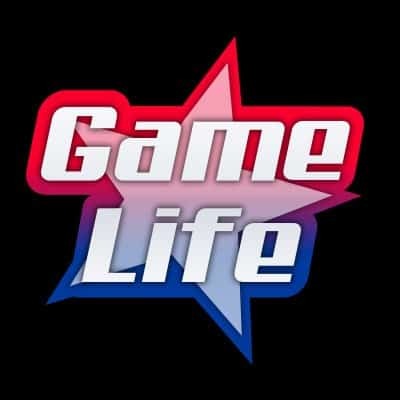 On the other side, matches at Americas Minor are still being played, but some of them already finished. NRG and FURIA Esports secured their places in Semi-final as they won their two matches. NRG defeated Imperial e-Sports and Bravado in Group A, while FURIA triumphed over eUnited and Team Envy in Group B. Imperial and eUnited are both out of the competition. At the moment, remaining teams are playing Decider matches. Envy is currently facing Team One and Bravado will play against INTZ later. We still don’t know the outcomes of these matches. 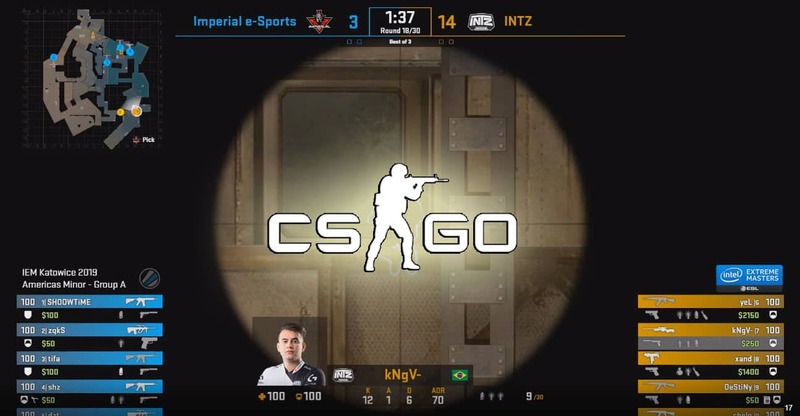 During the match of INTZ versus Imperial, CS:GO fans witnessed something incredible. 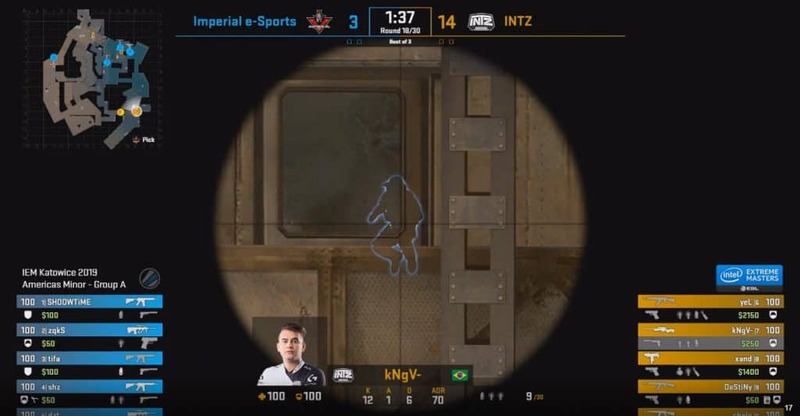 A Train saved one of the Imperial players on Overpass when a INTZ sniper had a clear shot. Specifically, INTZ was on the T side and they performed the well-known 4-man boost near T spawn zone. INTZ was leading 14-3. They most likely wanted to finish that match as quickly as possible in a highlight reel way. Therefore, they hoped that they would be able to snipe some of the Imperial’s players on Heaven using the above tactic. One of opponent’s player was checking scanning for visuals. So, kNgV had him on his gunpoint. But, exactly at the same moment when kNgV pulled the trigger, a train on overpass passed by and blocked the shot. Imperial’s player was incredibly lucky, as someone above was keeping his number in check. Despite the near death, the Imperial player kept jumping to see in front of him. kNgV missed the next shot as he just damaged tifa. This is something very unusual, and actually never seen before at pro tournaments. Simply put, too many things have to happen simultaneously in order to get something like this to connect. First of all, the train needs just a couple of seconds to pass by, then T side has to decide to perform that boost, and the player from Heaven has to jump for info. That’s a lot of things to take into account, and that’s why this situation is so amazing. Unfortunately, kNgV didn’t get the kill.